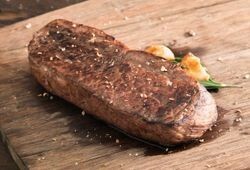 Looking for a superior steak to feed your hungry crew on a budget? 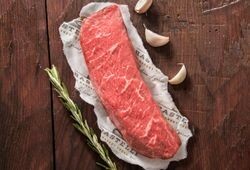 Wet aged for 21 days, hand-trimmed and cut into well-sized portions, our Classic Elite Black Angus Sirloin Steak is great for creating inspired, and affordable, family meals, plus there is nothing quite like a grilled sirloin steak! Rastelli Signature Seasoning Packet included! One of our top-rated steaks online! Purchased this the first time on QVC have reordered three times so YES I am a fan. We could cut the steak with a fork. Excellent taste and very tender. Will definitely reorder! I was hesitant about ordering steaks on line, but I was pleasantly surprised! They are tender, juicy and the seasoning packet is the best surprise! I'm sold and have ordered several as gifts! You can't go wrong with these steaks! Excellent cut, tender, great price.